Our experienced team of clinicians, including registered specialists, will work closely with you to meet your expectations. Immediate implants are a procedure in which an implant and the replacement tooth are both placed at the same time, rather than waiting for three to six months between the first and second stages (as for a conventional implant). Known in dental terminology as “immediate loading”, this instant process means you can have your new tooth in around an hour. For patients who have broken a tooth or are about to lose one, immediate implant placement represents a viable tooth replacement option. 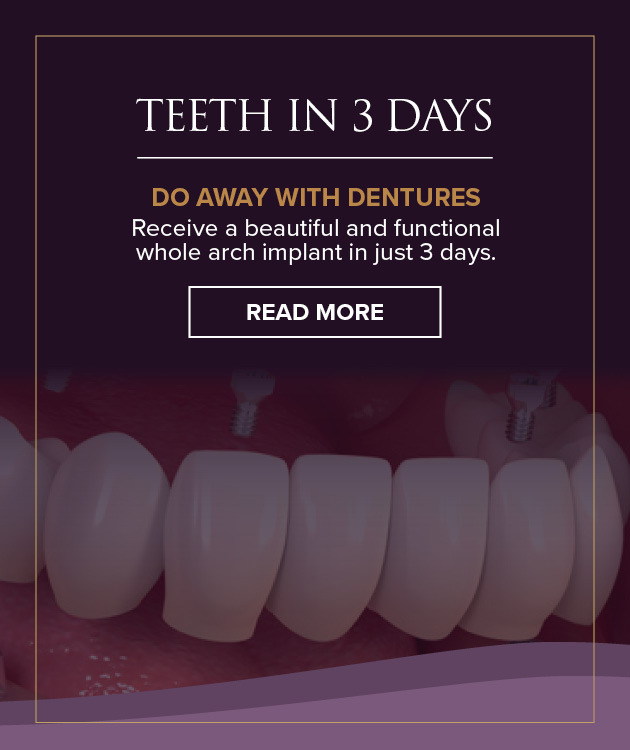 We understand that no one wants to be without their teeth, and immediate implants offer a quick, affordable and durable solution. After a thorough assessment, our team can place an implant immediately after tooth extraction, if your situation allows. For a traditional implant, there is a waiting period between removal of the tooth/teeth and placement of the implant, which is generally three to six months. Who is Suitable for Immediate Implants? In general only patients with ample jawbone density and no other predisposing risk factors, such as infection, are candidates for immediate loading (though low bone density can be overcome with bone grafting). If you are not sure about whether you are a good candidate for immediate implants, it’s best to have a consultation with one of our experienced clinicians, who will examine and assess your particular situation. The main advantage of immediate implants is that they decrease the treatment period, making them a suitable choice for patients who do not have time for long procedures or don’t want to go without teeth for any length of time. Are Immediate Implants as Effective as other Implants? There are a number of benefits of immediate implants over other types of dental implants. For example, there is no need to wait months for a replacement tooth and the reduced number of visits will save you time. You can also be confident your immediate implants will look and function just like natural teeth. There can be disadvantages to the immediate implant procedure – the greatest being the higher risk of implant failure where adequate bone integration does not take place. This can happen if the jawbone doesn’t have enough time to fuse properly with the implant. To avoid any likelihood of implant failure, our team of registered specialists will discuss with you the pros and cons of this procedure in the context of your individual presenting conditions and circumstances. Your immediate implants are placed following extraction of a single damaged tooth or several damaged teeth. They can be performed in the dental chair or in a hospital, and the difference between these two scenarios will be discussed with you during your initial consultation. You may experience local swelling and feel some discomfort for a few days afterwards as the area heals. This is a normal part of the recovery process and pain medication can be prescribed if needed. 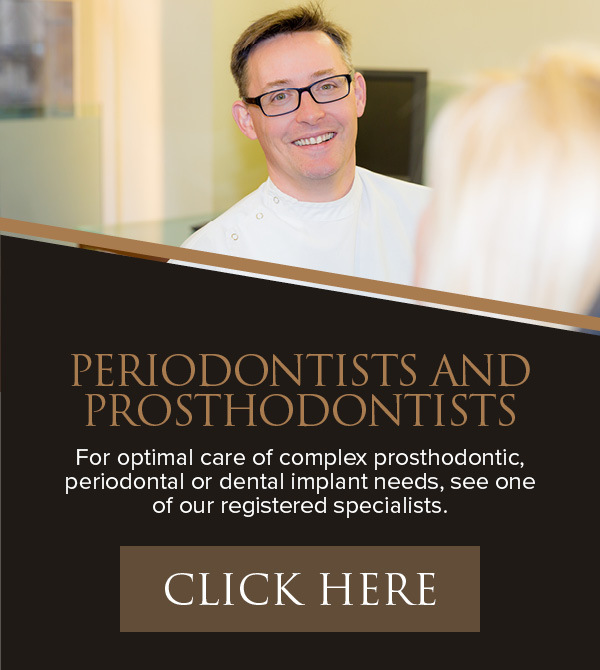 Your dentist or specialist will advise you of any special care requirements following your immediate implants procedure. There may be some tenderness in the area following surgery, so you’ll want to avoid hard or chewy foods, and will need to be gentle when you clean the area. After this treatment, it is important to maintain good oral hygiene to prevent the build up of plaque, just as you would with your natural teeth. You should brush and floss your new implants along with your natural teeth, and attend dental appointments (check-ups and cleans) every six months. How Long Do Immediate Implants Last? Your implants may experience some wear over time, but this varies from patient to patient. Generally you can expect your immediate implants to last for 10 to 15 years, especially if you maintain ongoing dental care through good oral hygiene and regular dental appointments. Every patient due to receive immediate implants at Smile Solutions will be provided with an individualised treatment plan, which will include a quote of all costs involved with your procedure. Because no two cases have the same level of complexity, costs can vary for every patient. Each implant case requires careful assessment and planning, and our experienced team of clinicians, including registered specialists, will work closely with you to meet your expectations. We have an onsite lab and imaging centre, allowing our clinicians to provide patients with seamless treatment and also remove the need for patients to go elsewhere for behind-the-scenes services. At Smile Solutions we are dedicated to providing our patients with the best possible dental care. We boast a high success rate with dental implants, ensuring that you receive a new smile that you are happy with.